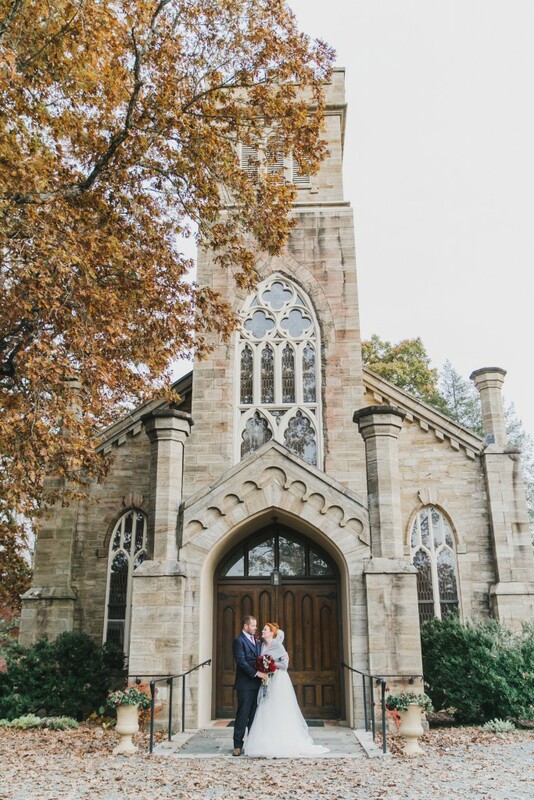 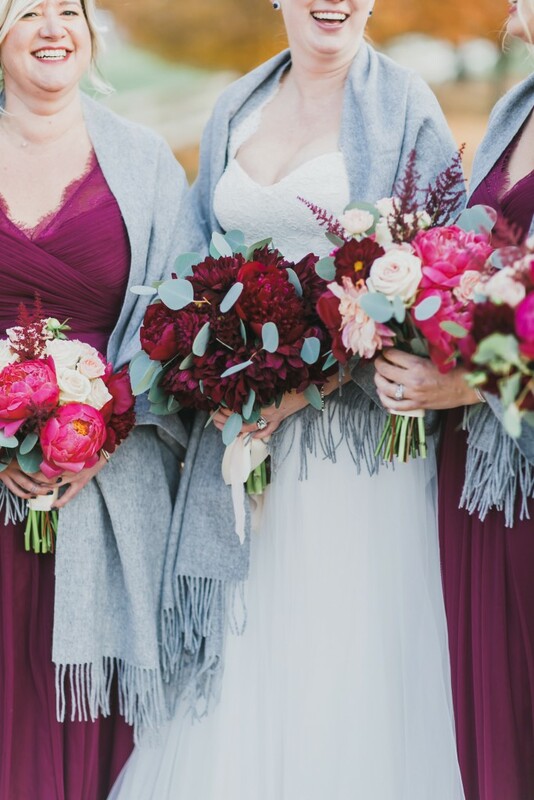 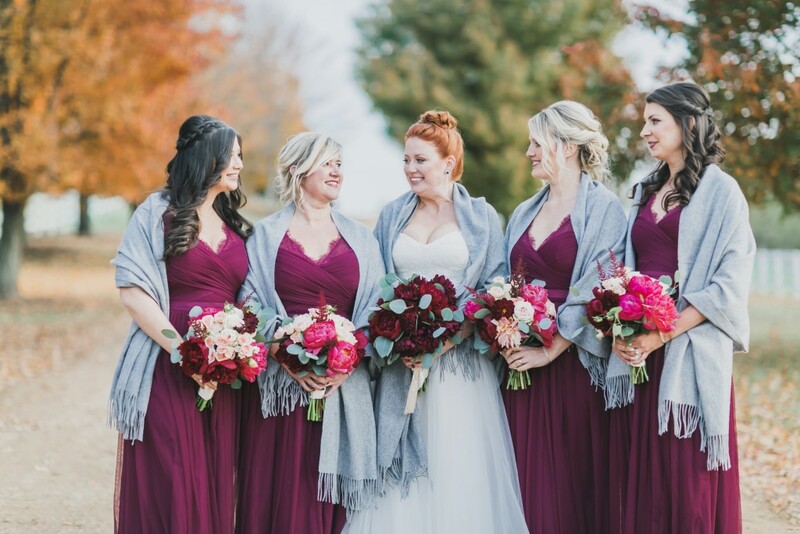 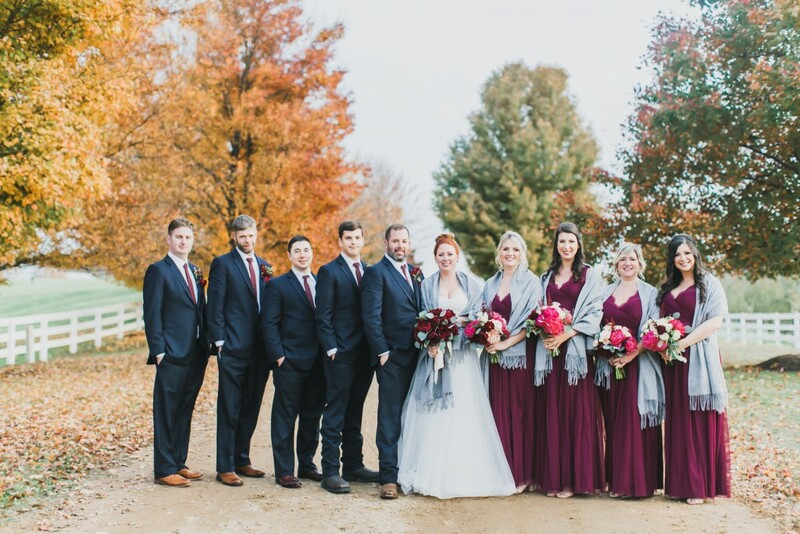 Rich, deep hues, a stunningly beautiful bride, and the crisp air of autumn? 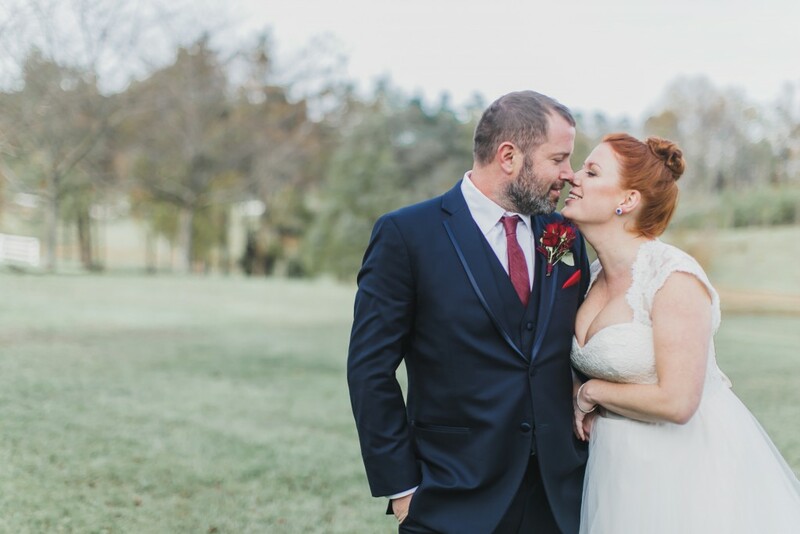 Yes, Amanda + Robert’s romantic fall Castle Hill Cider wedding was everything you’d want in a big day as the weather cools down. 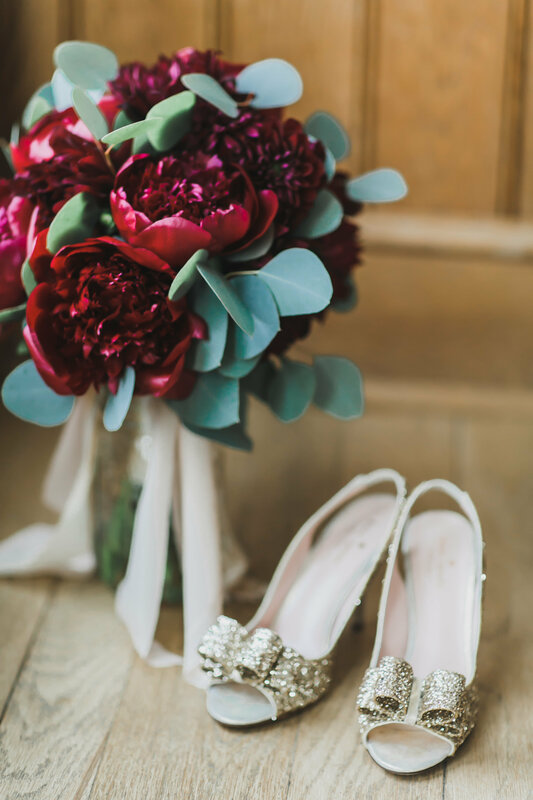 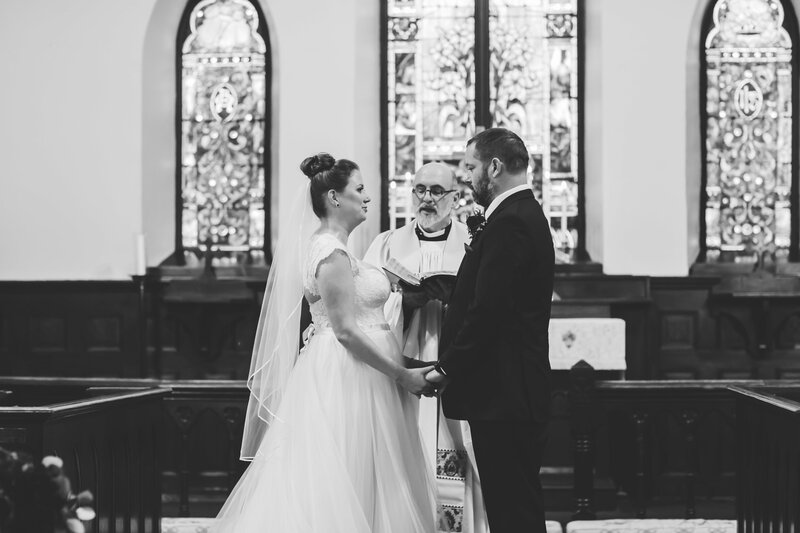 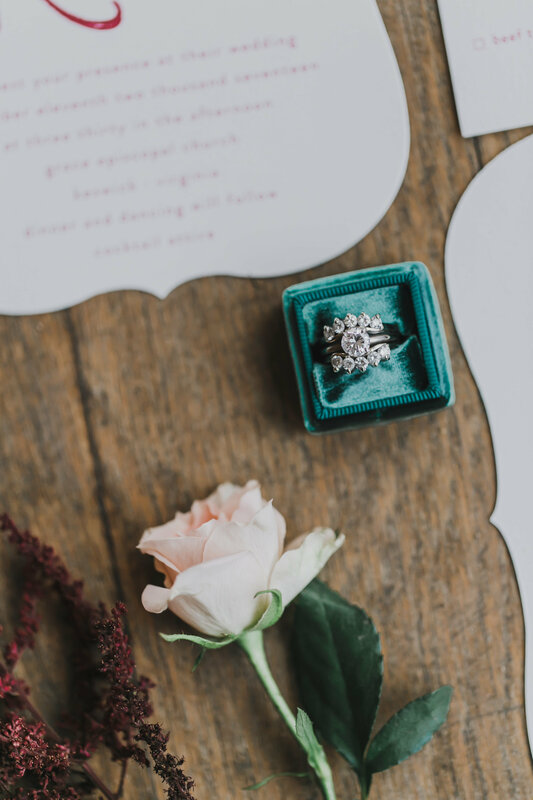 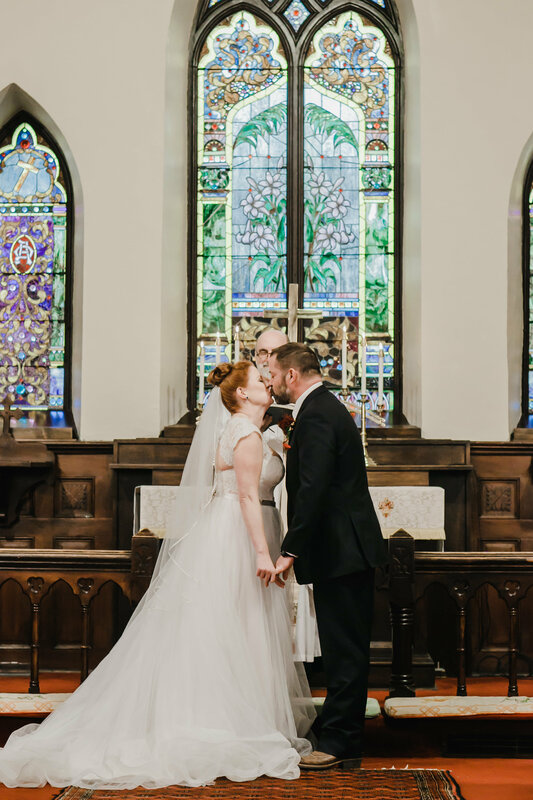 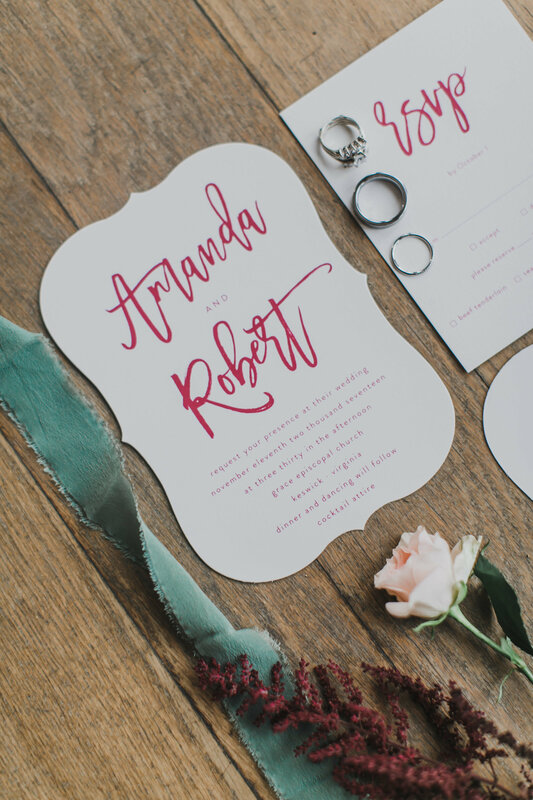 With beautiful details, a sweet couple, and the perfect vows, we’re so in love with their special day. 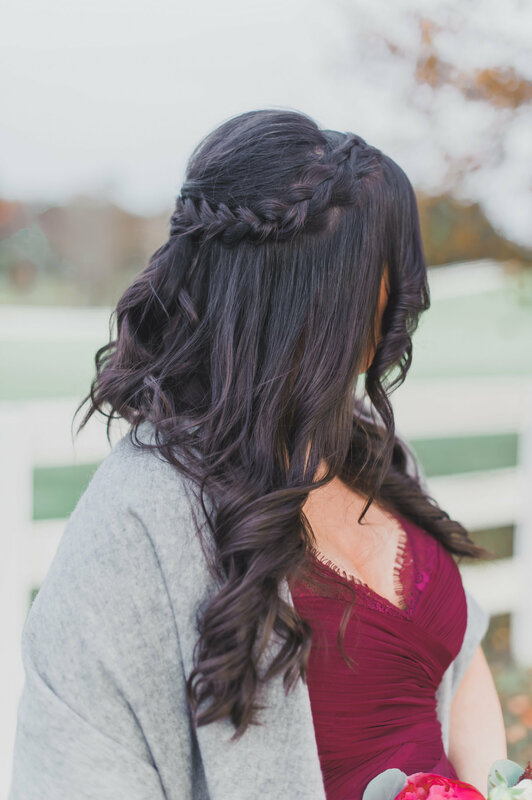 For Amanda’s wedding, we decided to make sure her stunning features were the stand-out element of her look. 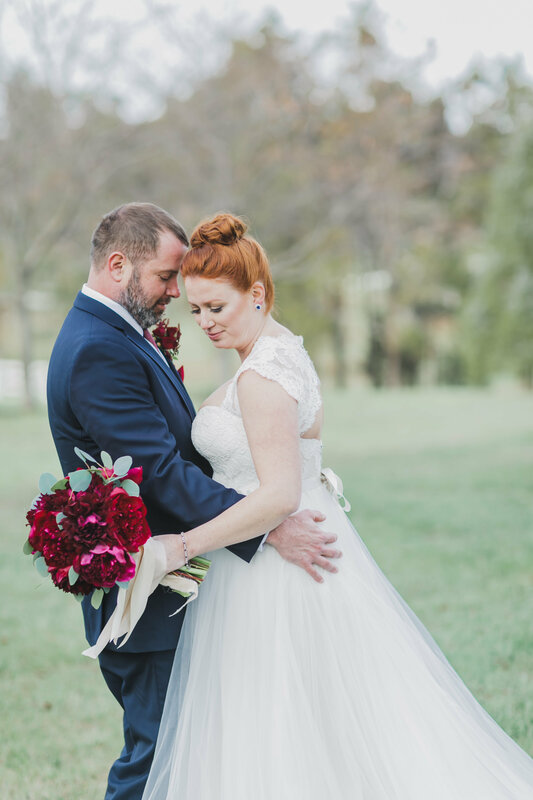 To do so, we pulled all of her vibrant red locks away from her face and secured them in a classic but slightly loose bun. 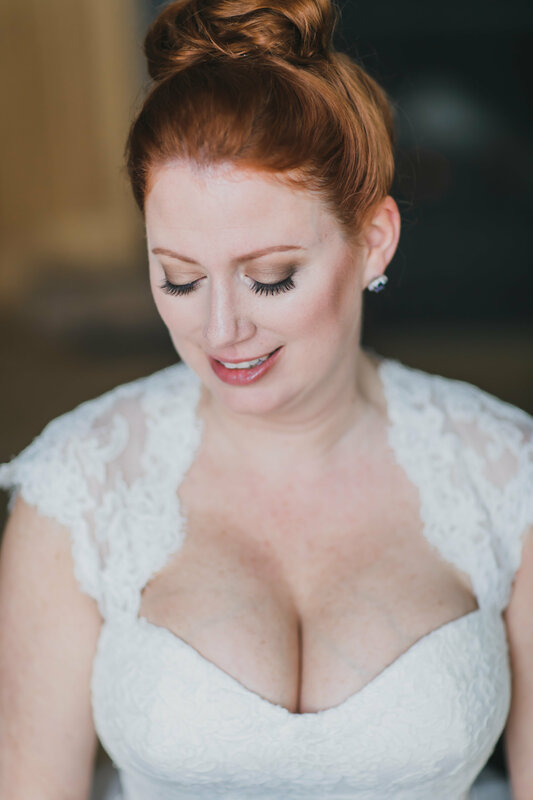 For her makeup, we made things neutral but added just a hint of smoky details to the outer corners of her eyes. 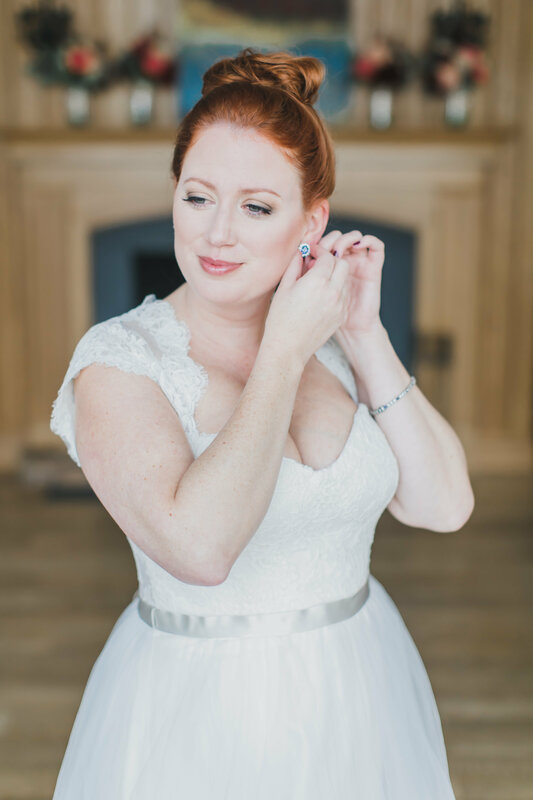 Of course, we had to let her beautiful fair skin be the real star, though, and kept her makeup natural. 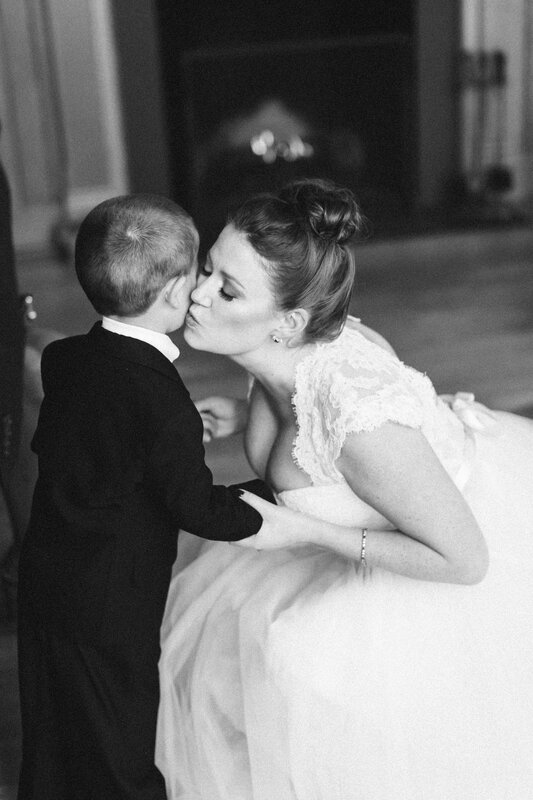 Plus, if we didn’t already know that we are in love with the bride, we would be after seeing the remaining images of she and Robert’s wedding. 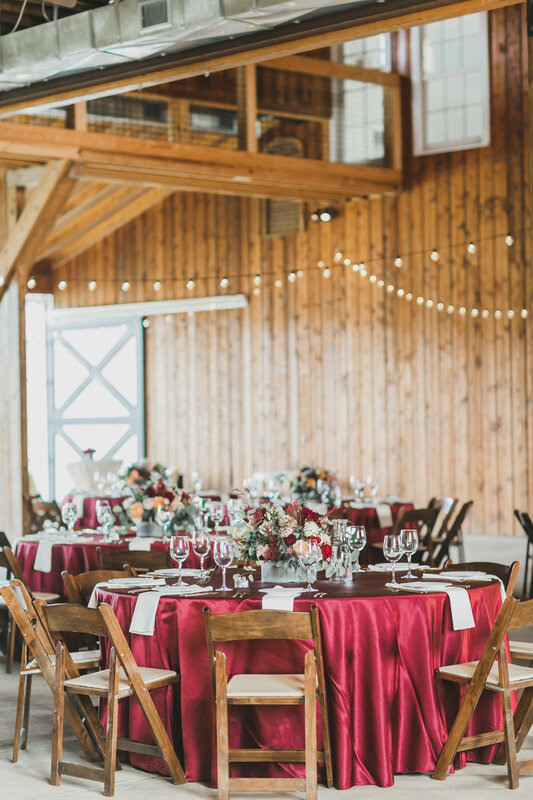 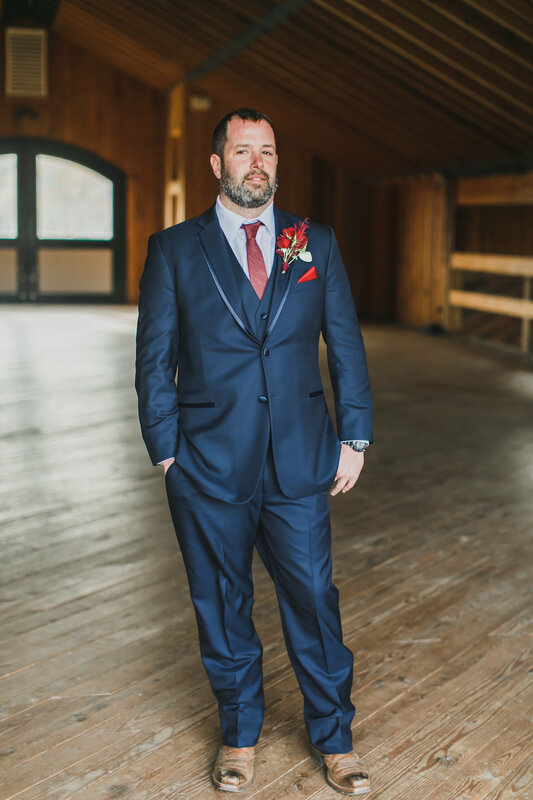 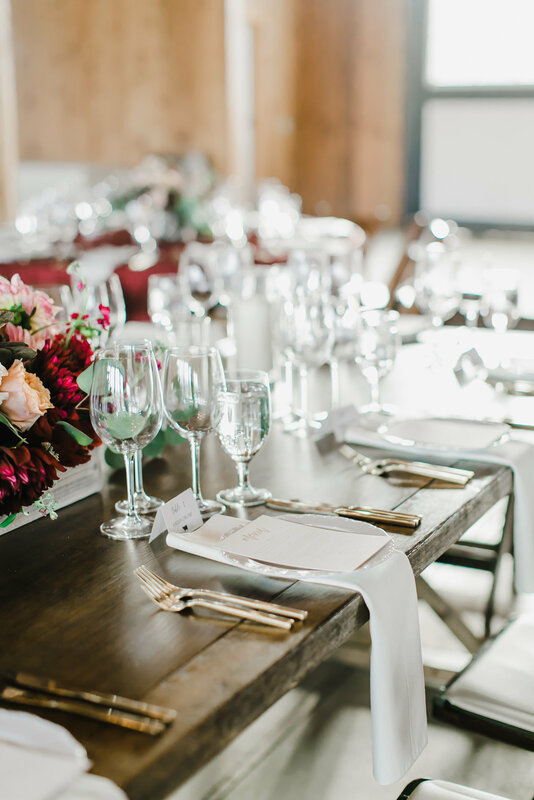 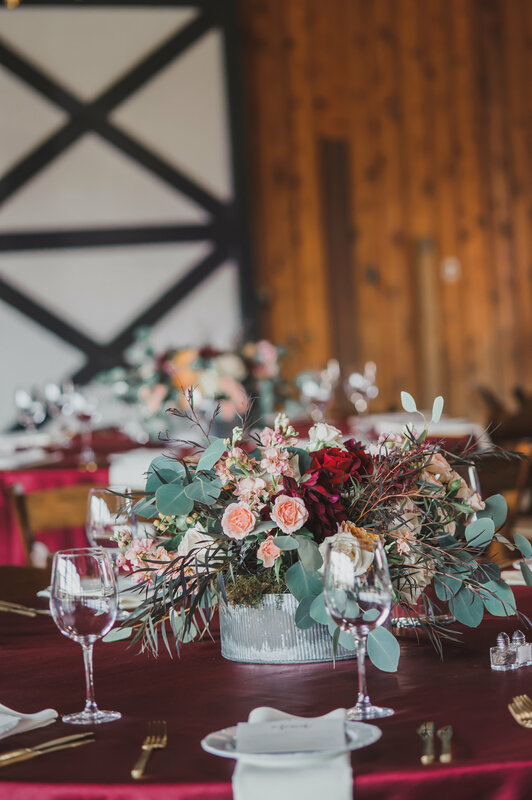 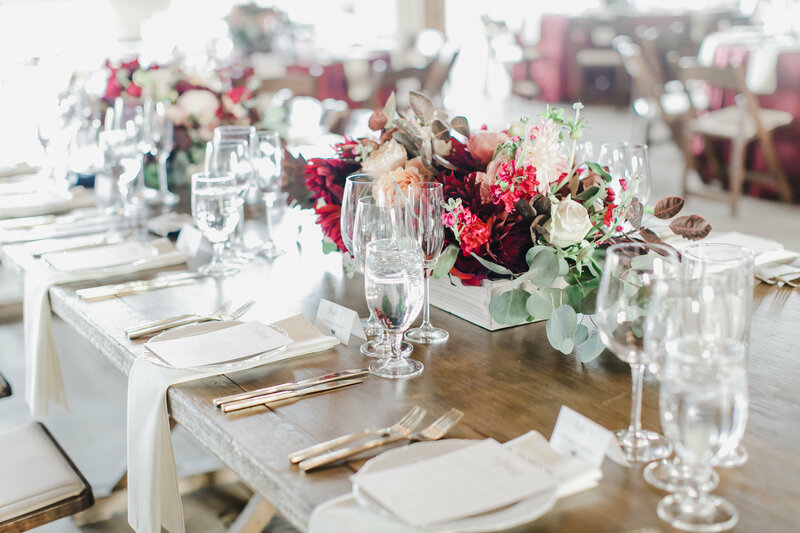 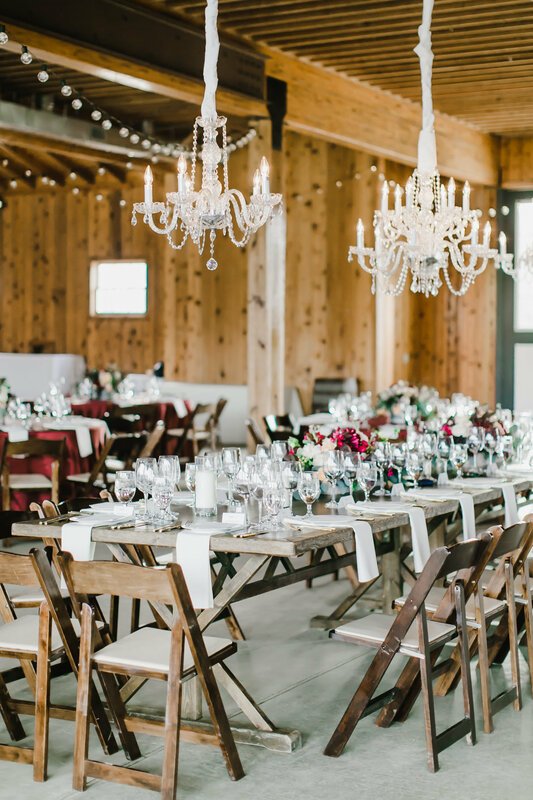 The mix of warm burgundy and orange with sky blue was the perfect blend of warm and cool tones, and we love the hint of rustic romance afforded by their beautiful venue. 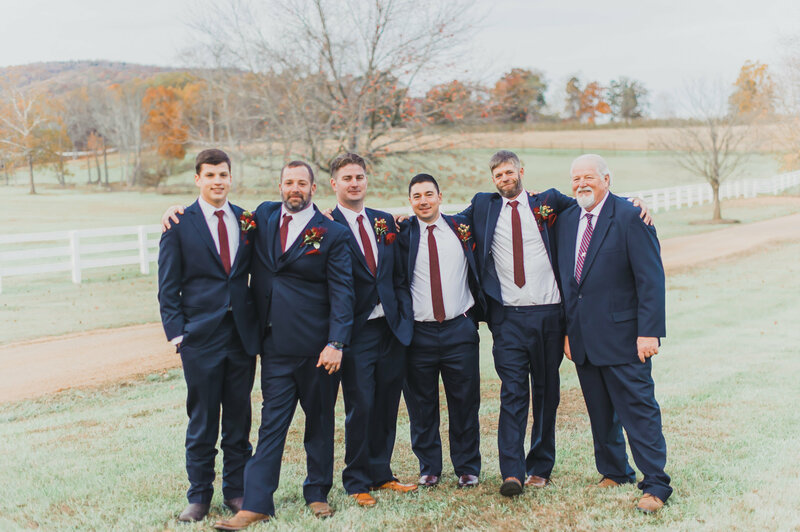 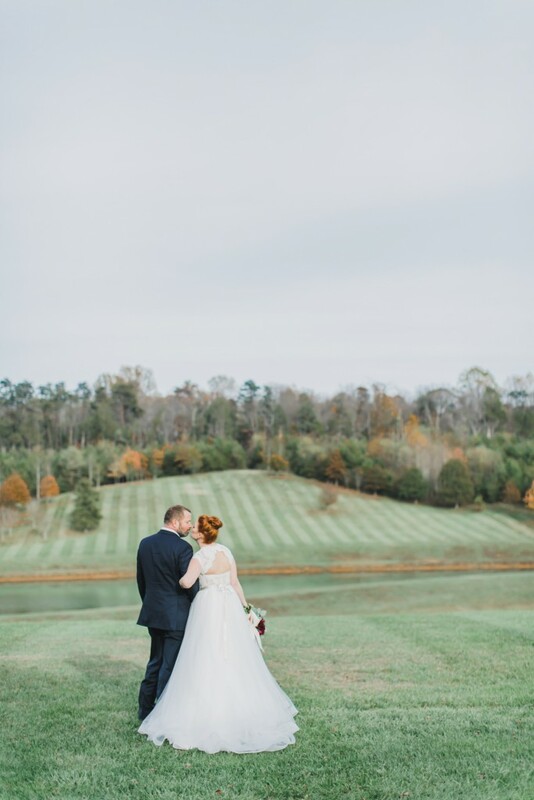 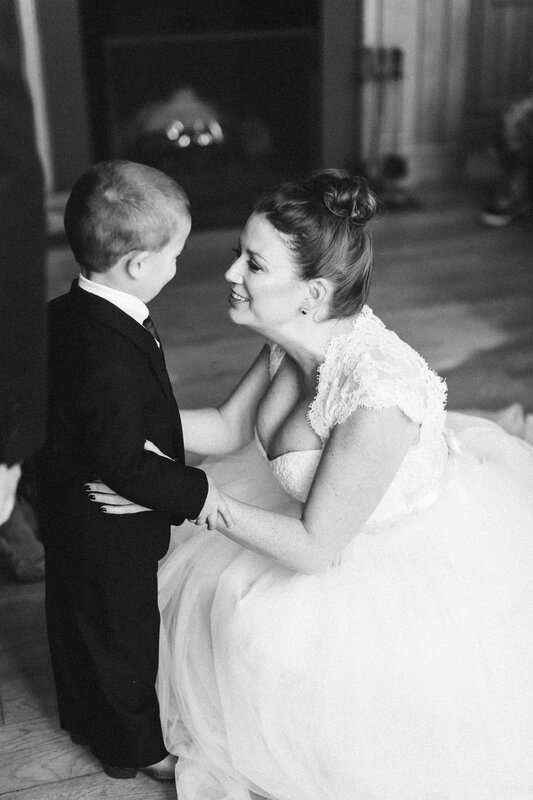 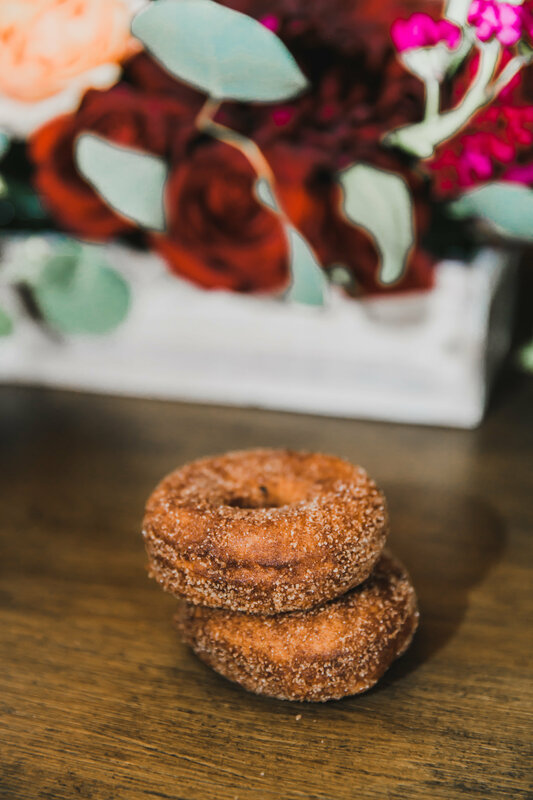 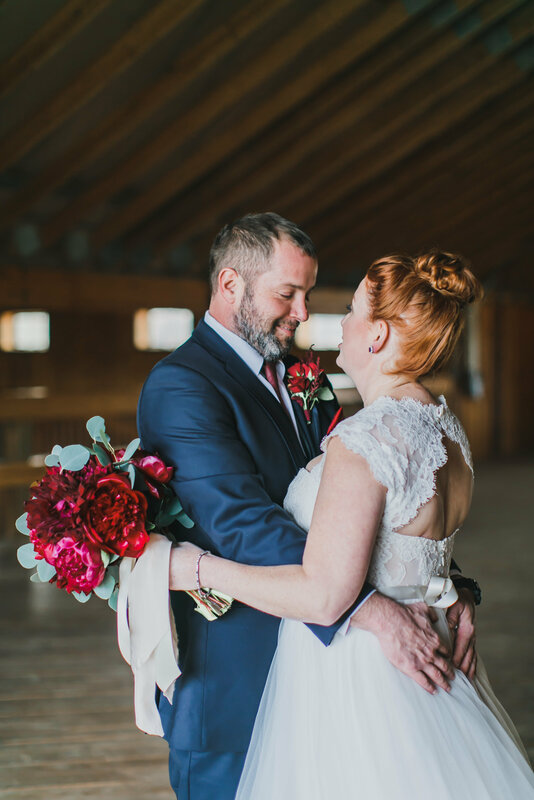 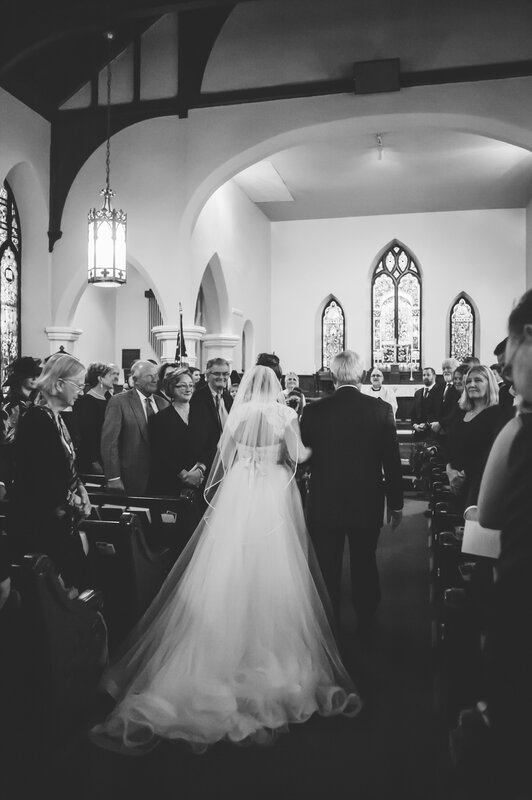 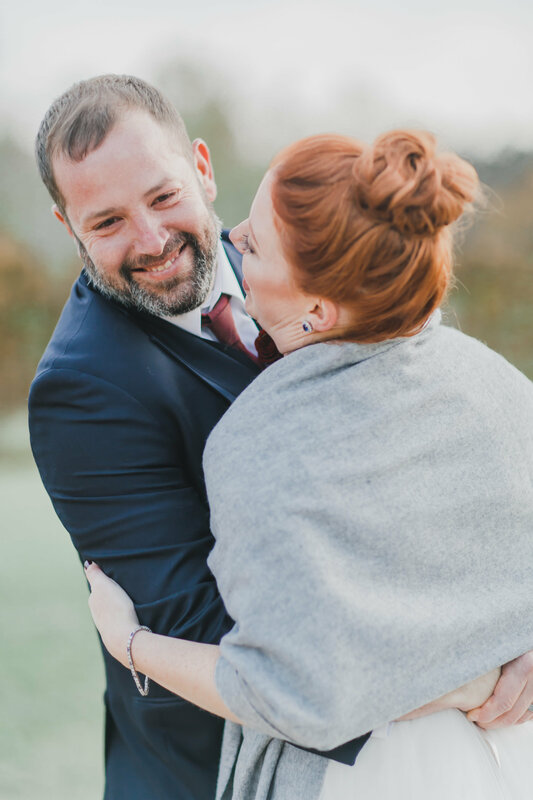 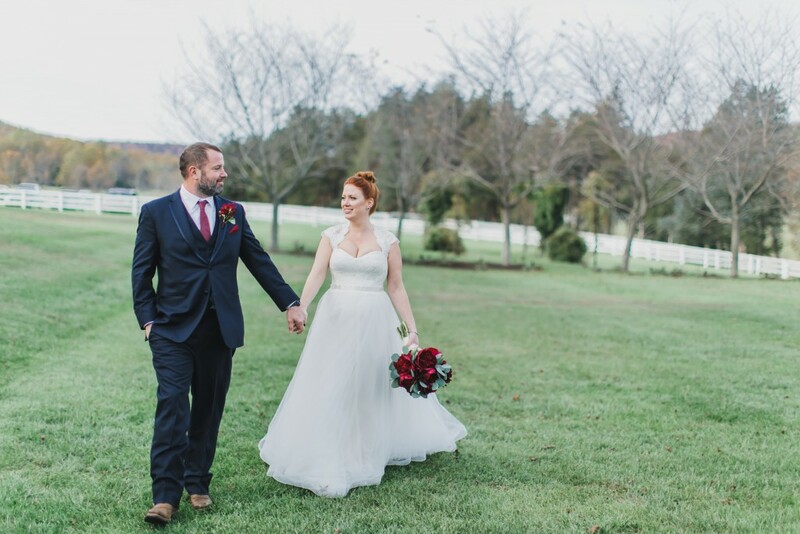 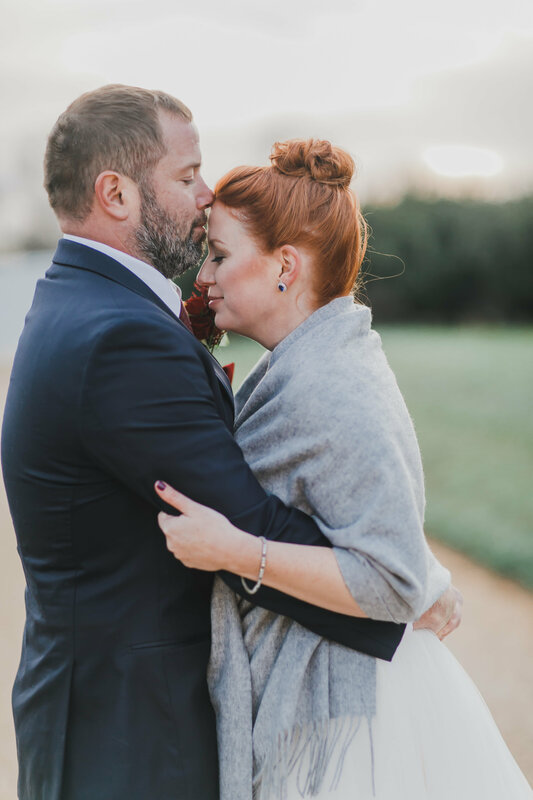 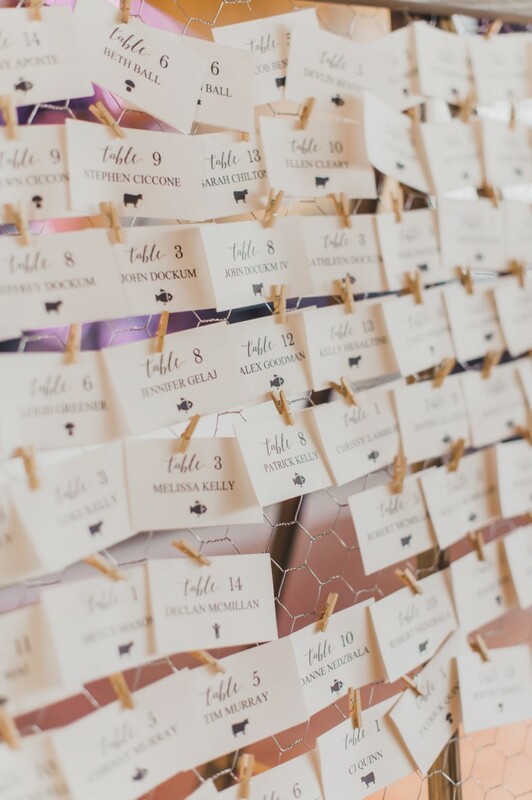 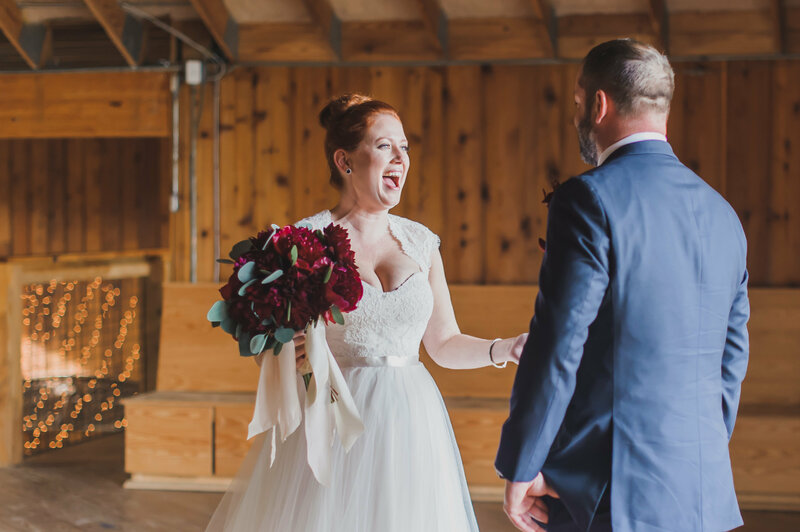 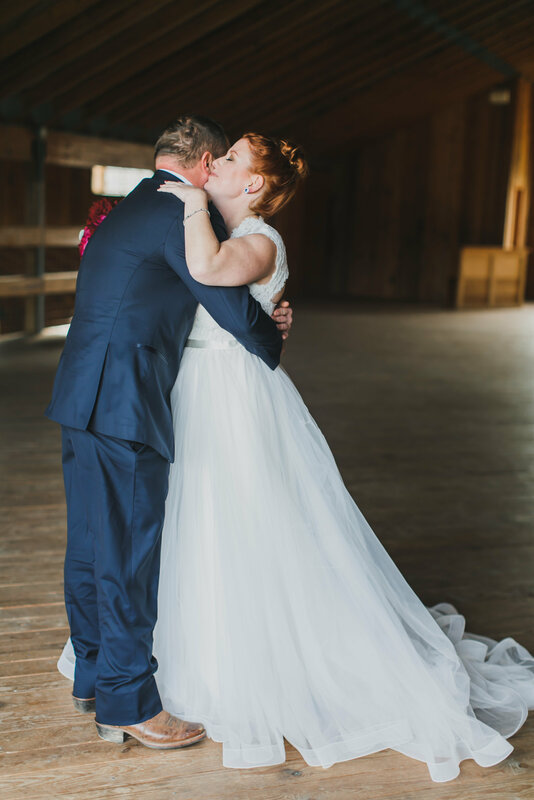 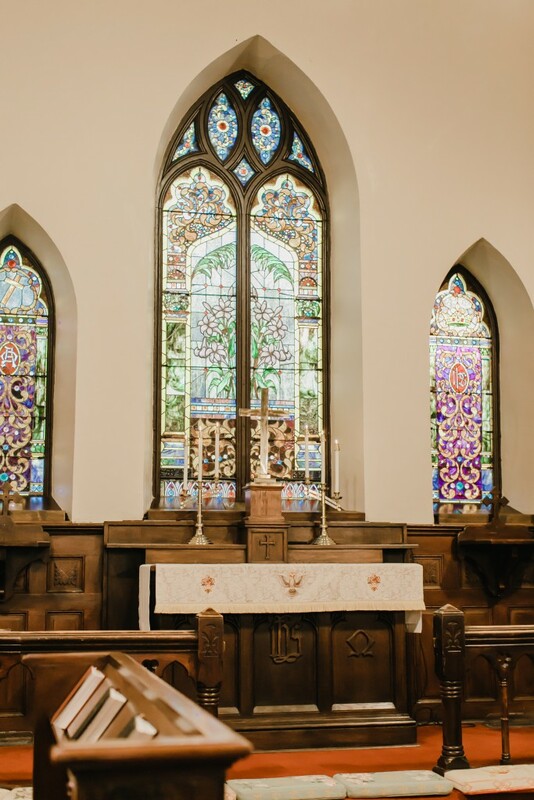 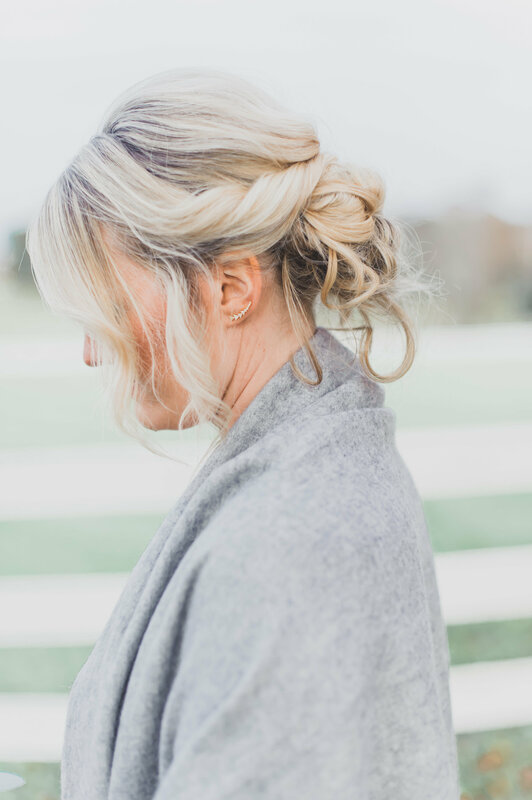 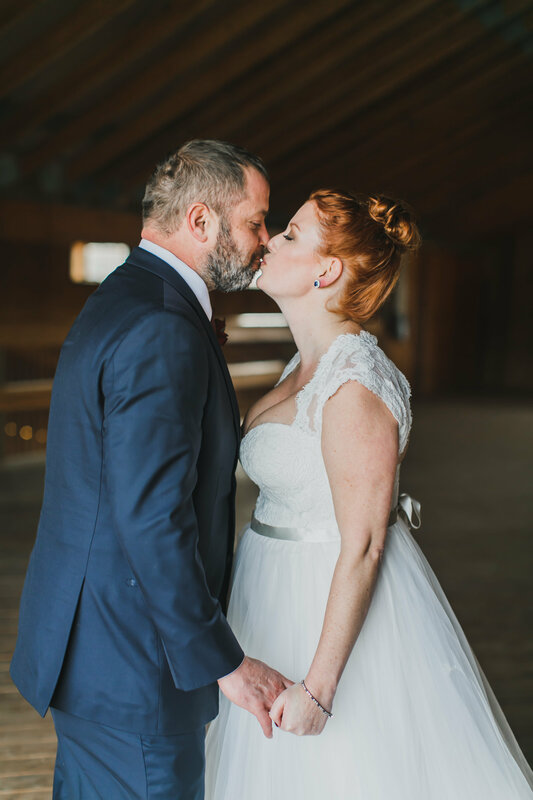 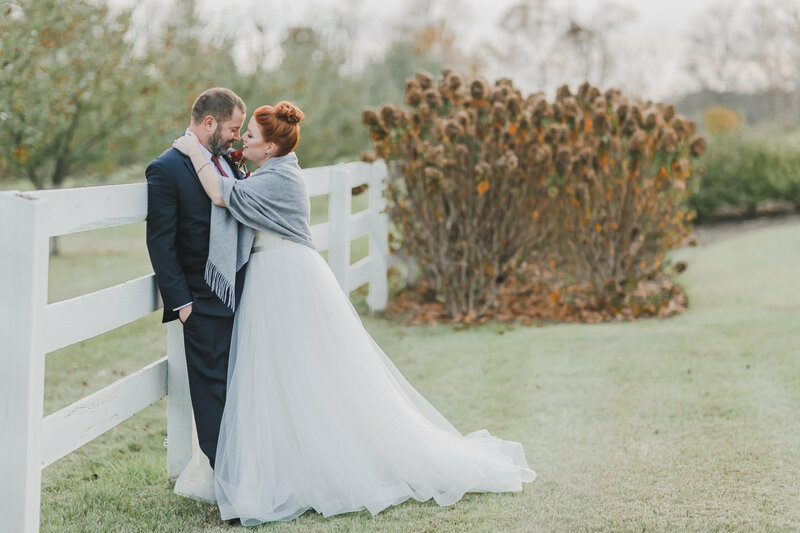 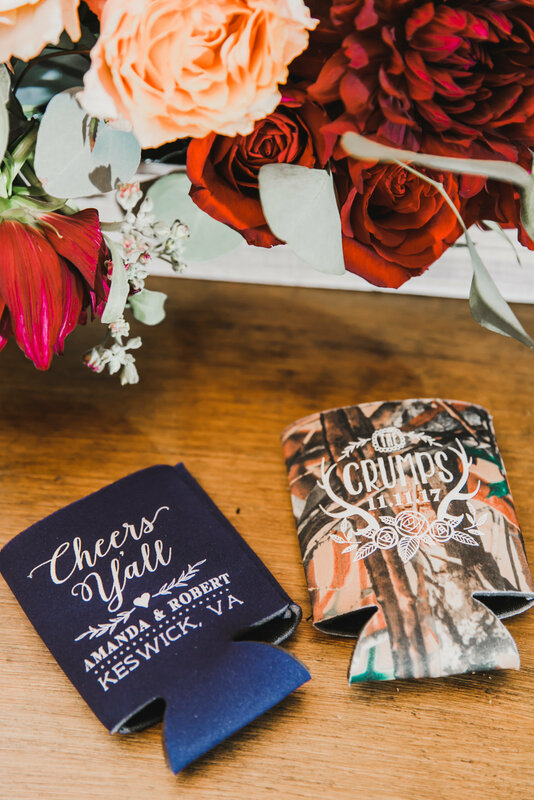 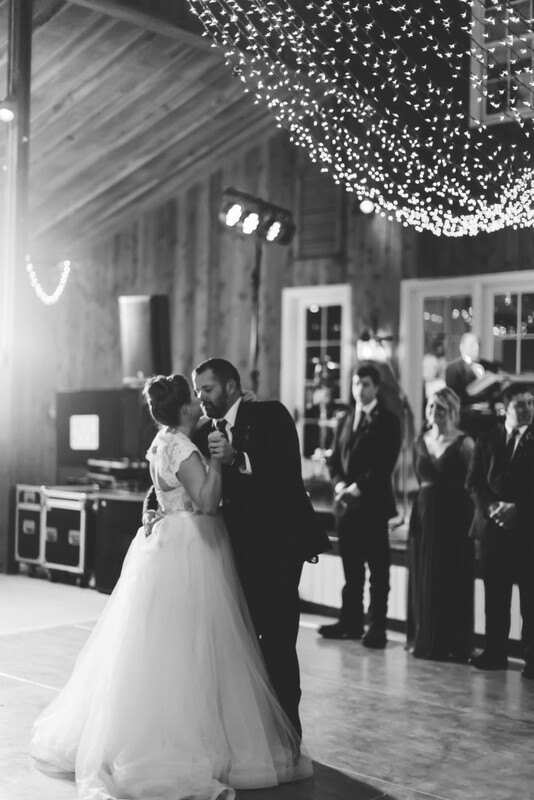 Clearly, we can’t get enough of this Caste Hill Cider wedding, and we think you’ll be just as smitten with Amanda + Robert’s wedding day as we are.